Normally, a full-size pistol is more comfortable to carry openly. However, given its slim contours, even a full-size 1911 can be comfortably concealed, which is exactly why Alien Gear makes more than one Kimber 1911 Custom models 5-inch concealed carry holster. Any one of our Kimber 1911 Custom models 5-inch gun holster models is perfectly suited to concealment, or open carry should that be your preference. 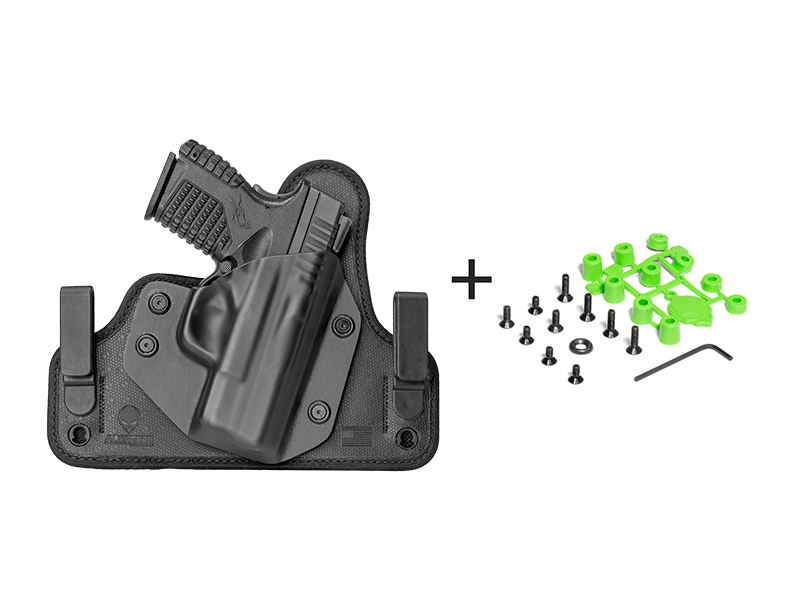 Alien Gear holsters all feature an adjustable retention shell, custom-molded for each type of firearm. 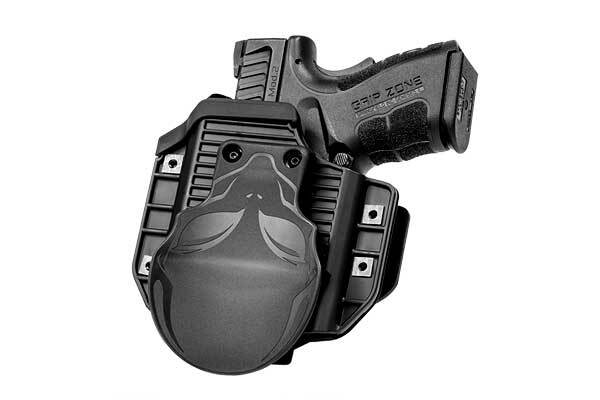 Unlike many holster companies which merely rivet the shell to the base, we employ a nut and collapsible bushing, which allows for adjustment so the wearer can set retention to their preference. 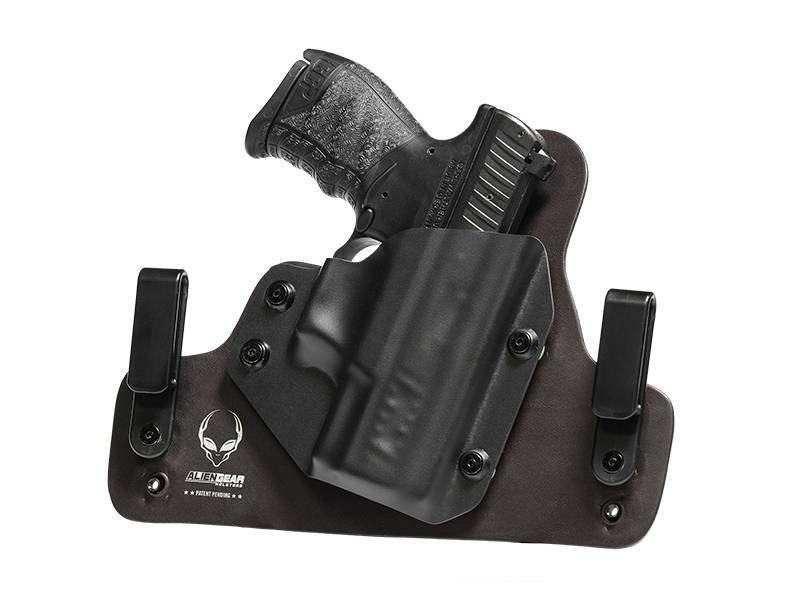 IWB and OWB holsters are both available. If leather is your preferred holster material, you can select the Cloak Tuck IWB holster or Cloak Slide OWB holster. 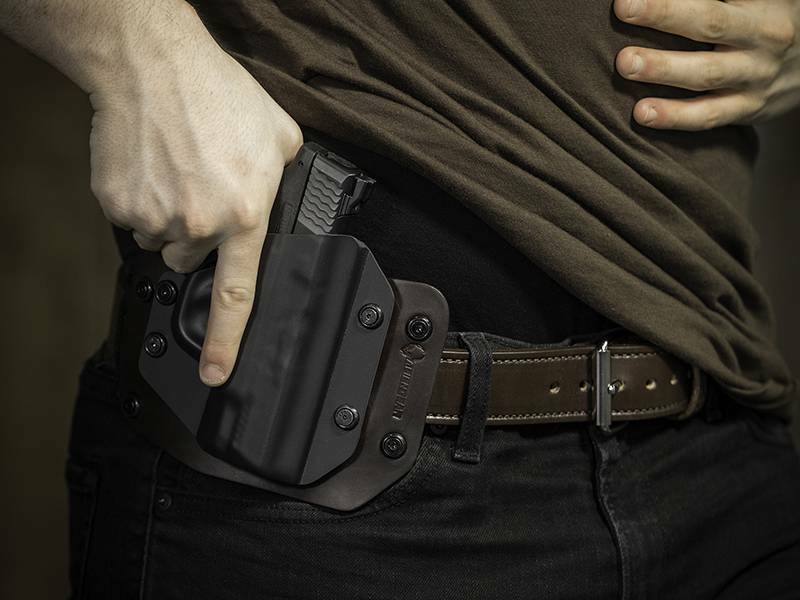 Both are made from heavy-duty leather, so it will last longer than the typical leather holster, and are available in black or tan. 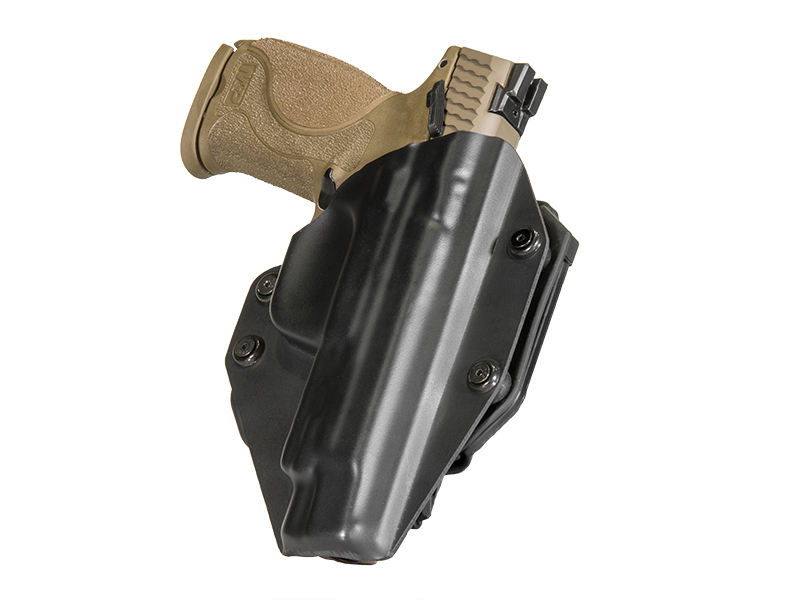 If more modern construction is your preference, the Cloak Tuck 3.0 IWB holster is our very latest creation. It’s engineered for the ultimate in comfort and durability, with a spring steel core to provide maximum hold once in place and belted. The backing material is neoprene, to repel moisture and sit comfortably. The surface is Alien Skin, our own high-friction surface material. 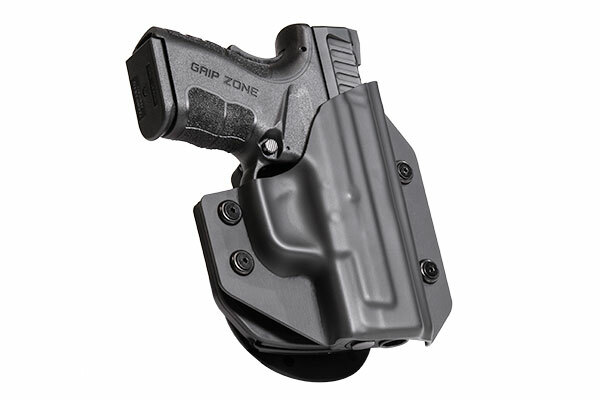 It won’t scuff your gun, nor let it slip or slide around once holstered. All Alien Gear holsters come with our Iron Clad Guarantee, which includes a lifetime warranty for the holster against defect or damage. We also will offer a lifetime of shell swaps, so you can trade your retention shell in should you replace your pistol. We also extend a 30-day Test Drive period. 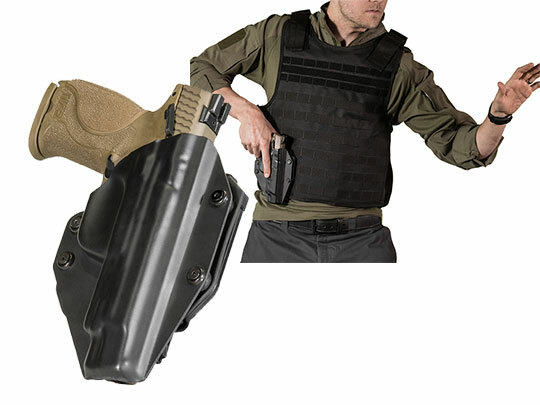 If unsatisfied with your holster, you can return it within 30 days of purchase for a refund.